Description Our parent company was founded in 1933 (H. Mohammed Din & Co.) busy in import trade of Builders Hardware & Hand Tools. 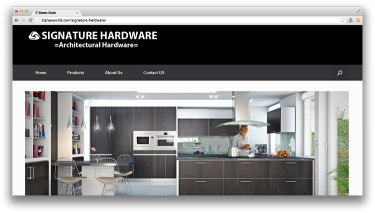 Eventually in 2014 we setup Signature Hardware which is retailer & wholesaler specialized in all kinds of Builder’s and furniture hardware, Wardrobe, Bath & Kitchen cabinet accessories. Address G10/10 Khayaban-e-Hafiz, Gizri Karachi.